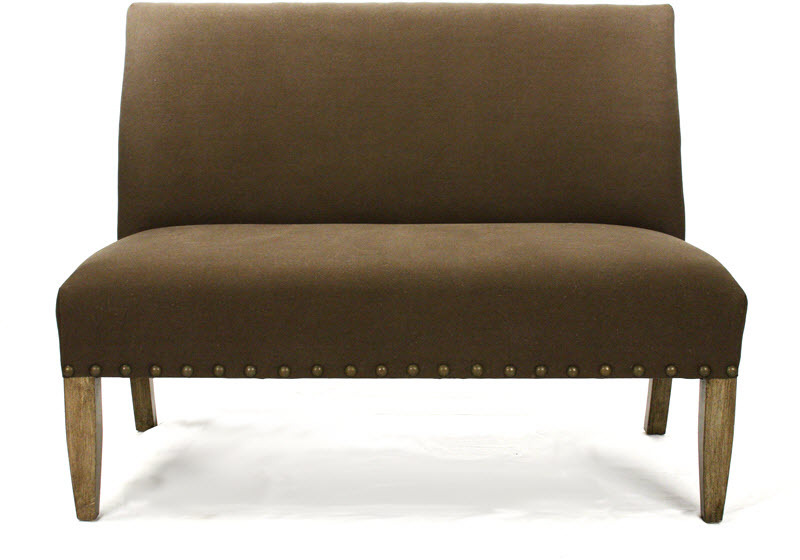 BROWN BENCH - An elegant bench style sofa in linen fabric with bronze studs outlining the sofa. This bench has a jute back and light wooden legs to give it the vintage look. Dimensions: w 48" X h38" X Depth 27"